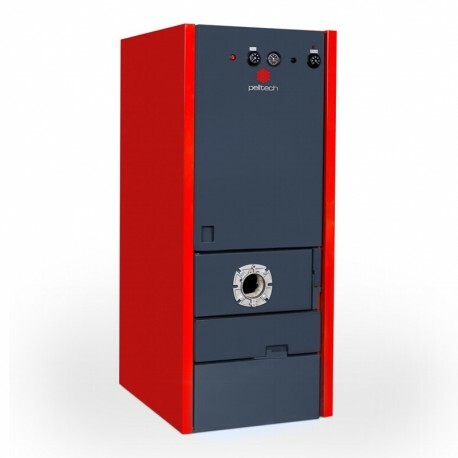 Pellet boiler Everclean 30 kW Pelltech with electrical heating unit 6 kW (3x2kW). 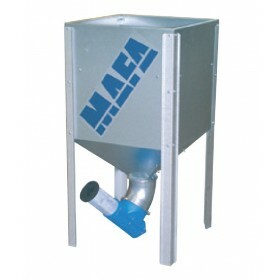 Highly efficient 2-pass boiler for combustion of wood pellets. Boiler can be used for heating of single or semi-detached houses or smaller public buildings. Everclean boiler is designed specially to work together with PV-series pellet burners. 2 484,00 € tax incl. 2 760,00 € tax incl. Such combination and integration ensures perfect and efficient combustion of pellets and helps to save heating costs. Pellet boiler Everclean 30 has self-cleaning system that enables simple and periodical cleaning of heat exchangers tubes. 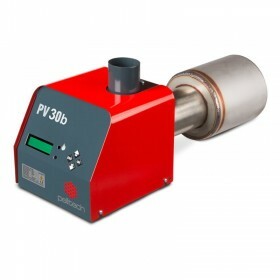 Burner’s controller controls frequency of cleaning cycles according to parameters set up. Self- cleaning system delivers collected ash to capacious ash box of boiler. For filling, emptying and connecting with heating system the boiler has 2 connection fittings with 1’’ internal thread on back side of boiler and 2 connection fittings with 1’’ external thread on up side of boiler in distance 125mm. 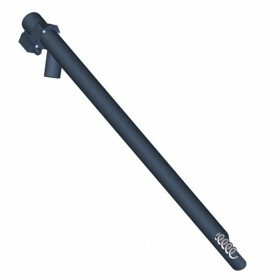 The flue gas fan that adjusts boiler’s draft is integrated to boilers outgoing smoke tube. The direction of fan smoke tube outlet is possible to change from horizontal to vertical by using intermediate flange. Burner’s controller controls the speed of flue gas fan according to under-pressure in burners burning chamber or selected power level. 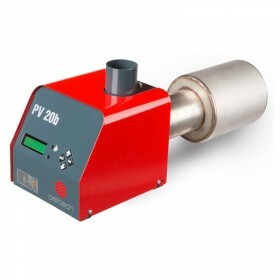 Pellet boiler Everclean 30 has temperature and pressure gauges. Safety valve applies when pressure in boiler exceeds 2,5 bar. Door switch does not enable to start burner when boiler’s door is open. If boiler door will be opened during burning status, the door switch interrupts burners work and burner goes to end burning state. By closing the door burner continues normal burning cycle. Safety thermostat interrupts boilers work when its temperature rises over 95°C. Safety thermostat has to be reset manually.